Print the Rules for 3D Chess. Watch a 11 move demo game play out to checkmate. 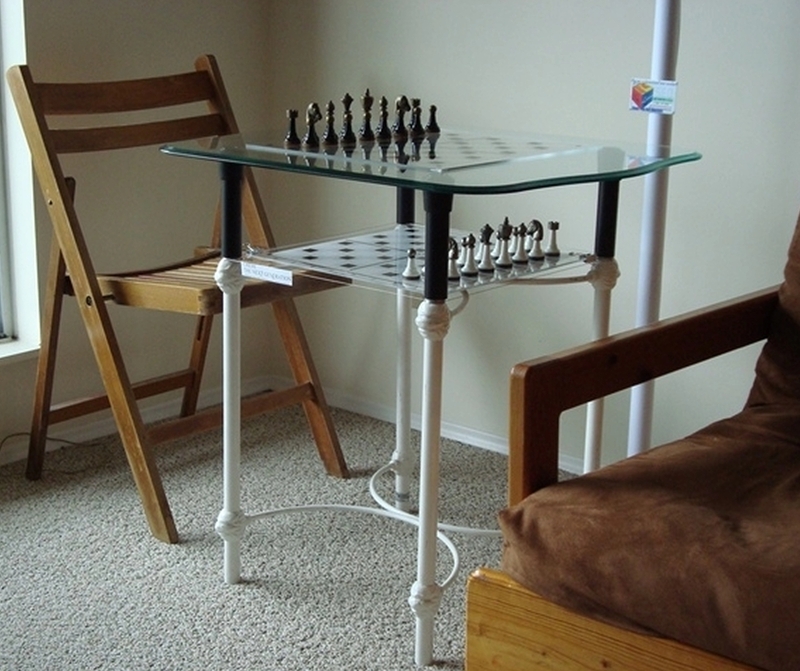 try "Chess - The Future Generation". 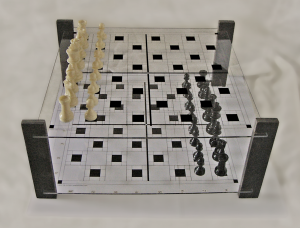 It's played the same, but on 4 boards (White and Gold vs Black and Silver). This is a game of team work. As a suggestion, it is best to try the game played by 2 persons to start with. One person plays both White and Gold and the other person plays the Black and Silver. Then migrate to 4 players. This is a very suspenseful game! It was tested across Canada in many schools and everyone love it! Chess will never be the same after playing this game in teams. This illustrates real life! It's a game of cooperation. The only way to win. Two additional rules for the success of this game. This information has been done so that you can play today by just getting another chess board, supported by books or something else. You can begin playing in 10 minutes. "Chess - The Next Generation"
Are you are wondering what it would look like with two boards? Then take a look here. By using your mouse to grab on to the boards, you can move the two boards around. As you do, notice that you can easily see the pieces below. That's because of the way the board is designed. The design is described here. Father 3D Chess, because the Whole World can play for free. - How to play 'Regular Chess'. Paul is White in this 1st game. So he choose to be on the Bottom, 'B' Level. Therefore, Garret must be on 'A' Level or the top board. To view this as a much larger picture. but Black is about to fork my Queen and King and say check! Bishop drops below King (Aa5-Bb6). Creates the fork and says check! The movement in the picture creates the illusion that the picture is 3D. Even click on a link in the box.